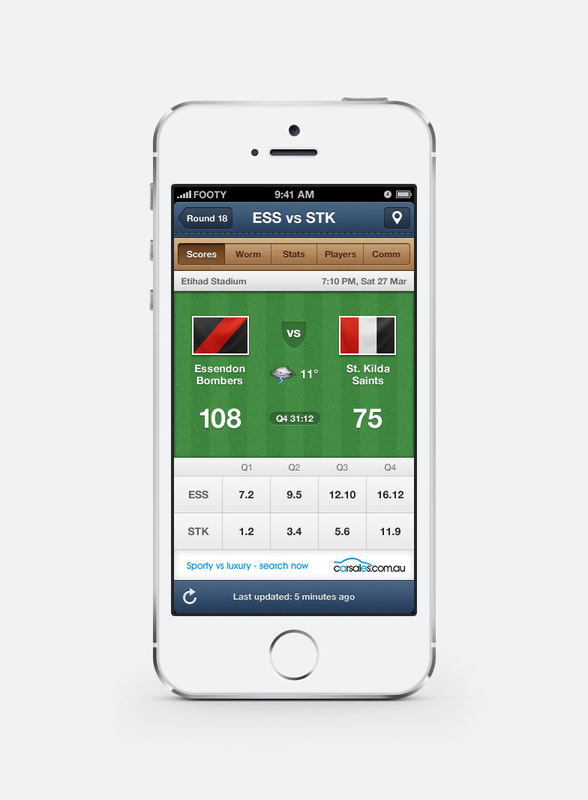 Sportsmate Mobile is the leading developer of mobile sports apps in Australia. 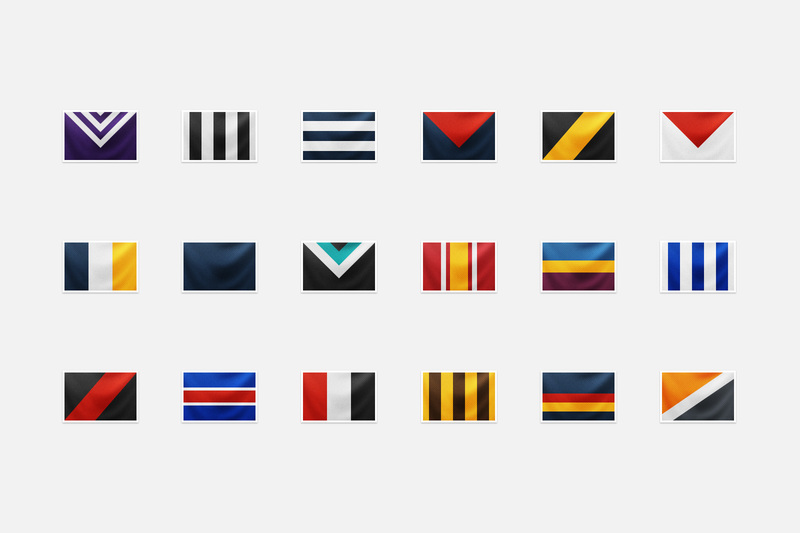 In 2010, Alan van Roemburg and I were asked to completely re-design their flagship product for the 2011 AFL season: AFL Footy Live. 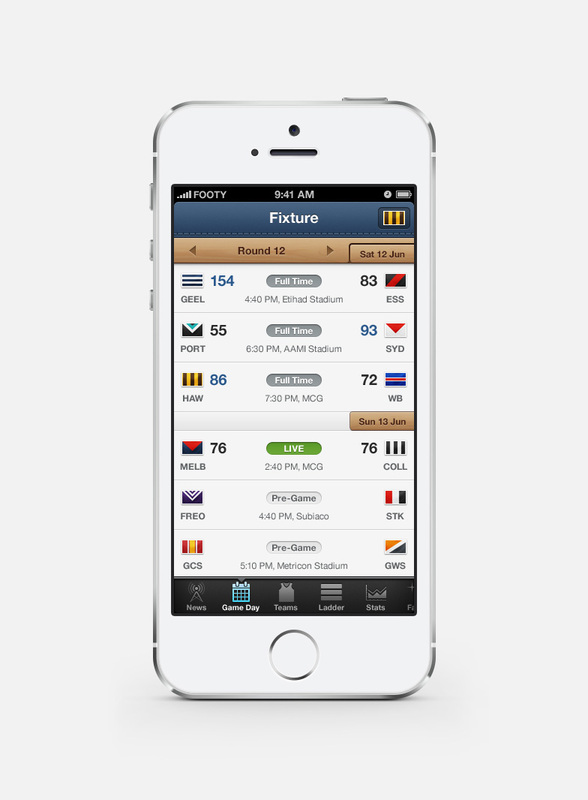 Footy Live is now one of the most popular sports apps on the Australian iTunes App Store, with over 1.5 million users checking the latest scores, news and statistics. 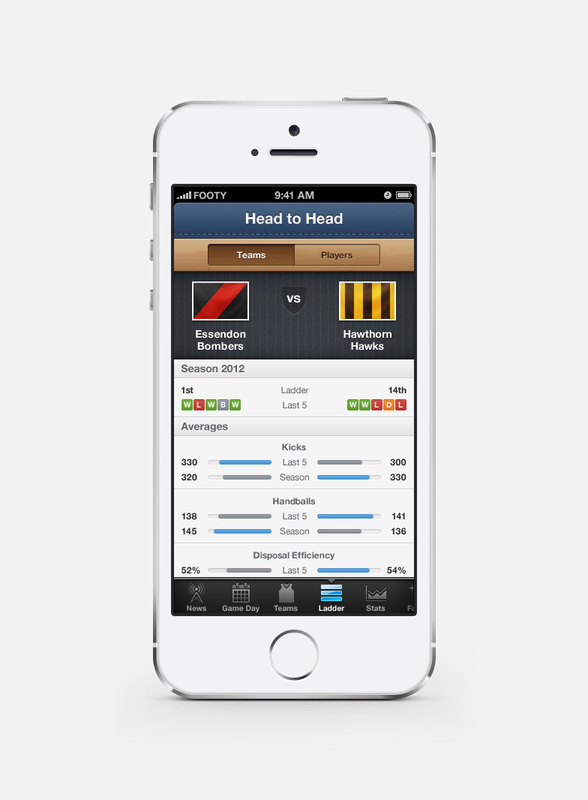 Sports fans love stats, and displaying a lot of data on a small mobile screen can be challenging. During our research, we found many competing apps display data without any thought for how users might actually make sense of it. Making this data legible and accessible was critical in designing a great user-experience. Visual cues such as graphs and the score worm make statistical differences easier to understand, while generous spacing avoids clutter and information overload. Displays no more than five tabs at one time on iPhone (if there are more tabs, the tab bar displays four of them and adds the More tab, which reveals the additional tabs in a list). Having to dive in to the More tab to access certain items can disrupt a user’s mental model of the app, making it difficult to navigate. 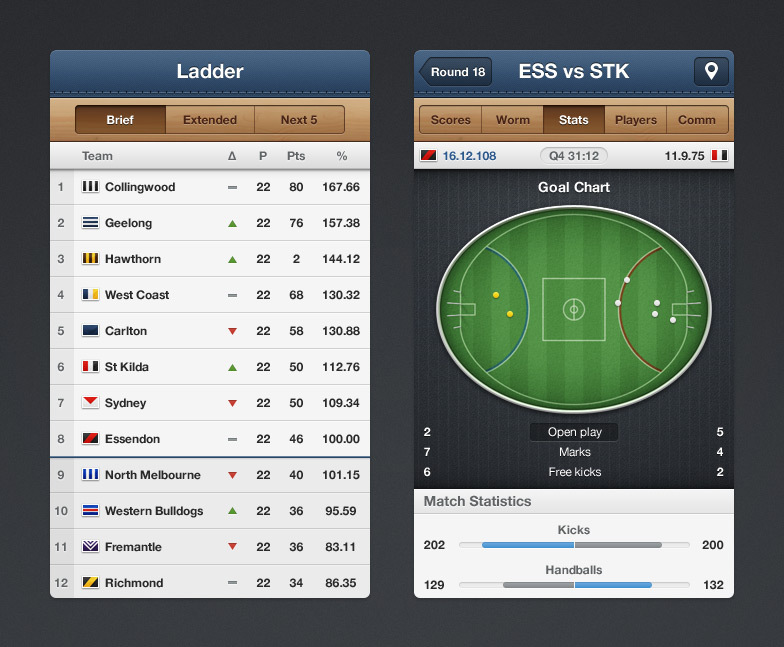 The approach chosen for Footy Live was a horizontally scrolling tab bar, allowing users to access every section of the app using their thumb to swipe across the bottom of the screen. By swiping across the Tab Bar, each of the main sections can be scrolled into view if they exceed the bounds of the screen. The 2012 update was more evolution than revolution. 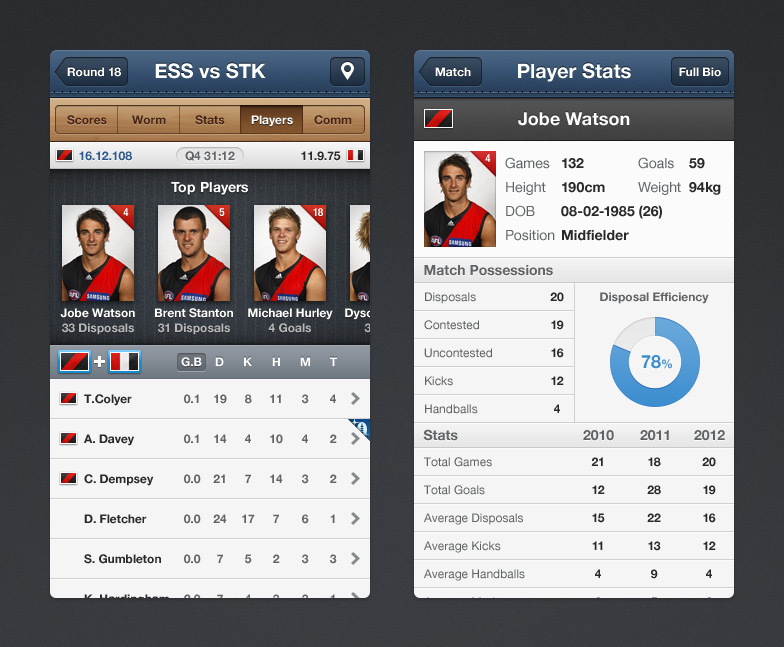 Expanding on the already comprehensive match and player statistics was the most significant improvement over last year’s version, including a head-to-head feature that allowed users to compare teams and players. The Game Day section was expanded to include more social features, allowing fans to check-in to a match and post messages of support on Facebook and Twitter.